We have observed in our surrounding communities that a lot of elders suffer from temporary memory loss, a possible indicator for Alzheimer's Disease, Huntington’s Disease, etc. However, it is possible to exercise one’s memories to prevent further memory loss. 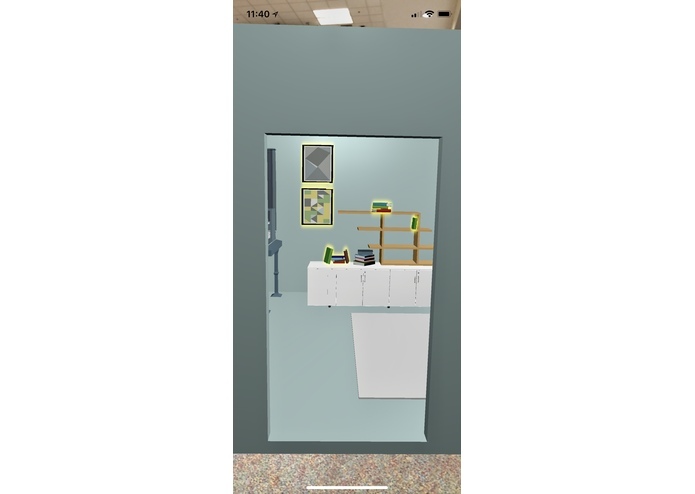 Recent study in cognitive science also shows an abstraction of a mind/memory palace greatly facilitates memory reinforcement process, so we decided to utilize AR technology to realize this “Memory Palace” to first help those suffering from memory loss and second create a personal place in which everyone can study and interact with. First, users can find a wide plane to construct their memory palace. 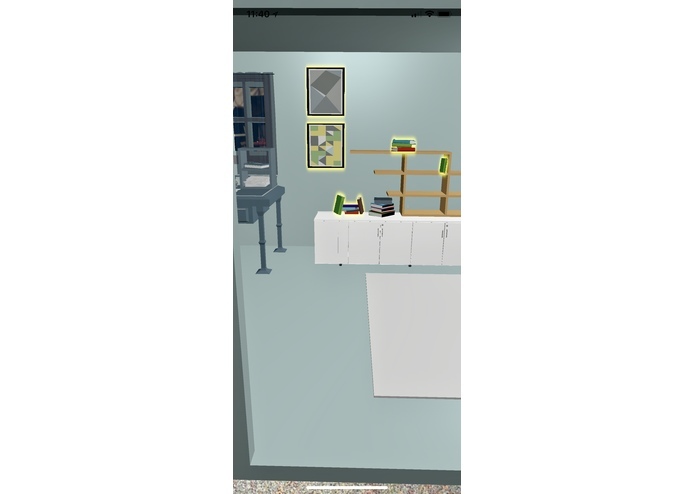 After construction, they can enter the room and interact with highlighted objects to make notes of any kind to remind themselves of words, events, valuable memories, etc. In doing so, this app in fact is much more general than simply reinforcing memory for the elders. It allows anyone to better study and memorize educational contents with a simple click on the phone. Furthermore, it creates a fully interactive environment, like a home, for users to save and restore their favorite memories which can be accessed anytime and anywhere. 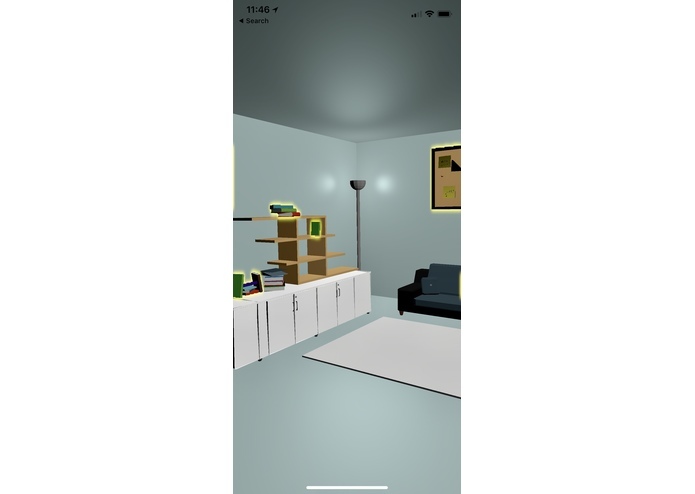 We made the app using ARKit, UIKit, and Swift in Xcode, and designed the models and assets in maya and photoshop. 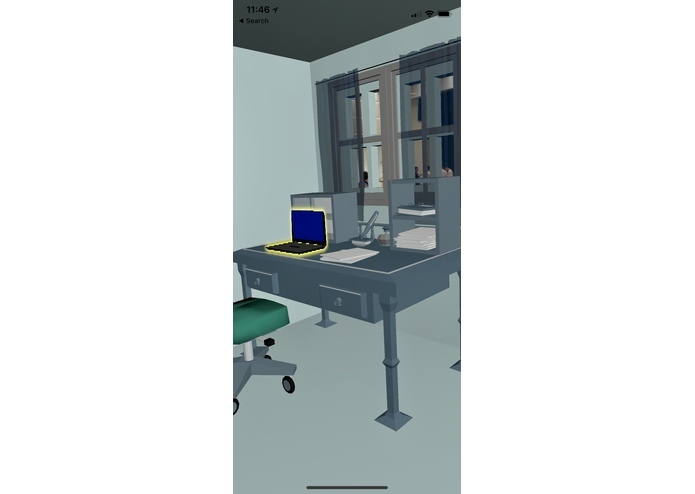 A portion of the models are downloaded from google poly. This is our first time working with Augmented Reality, so we weren’t familiar with many of its concepts at first. 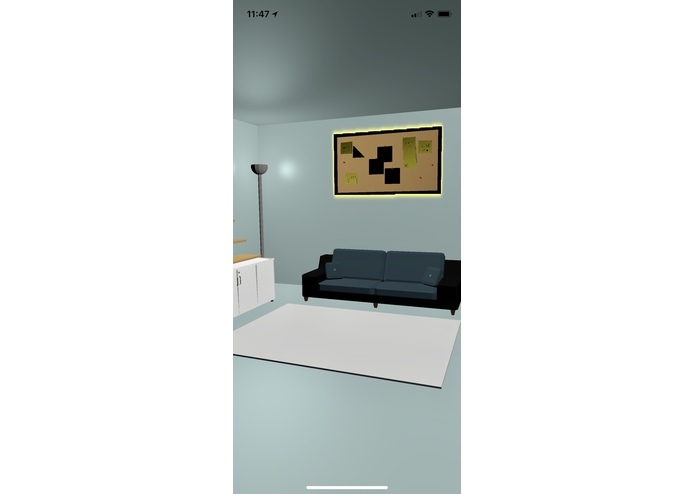 We also had a difficult time exporting the room models from maya to ARKit, and positioning the room correctly so it shows in front of the user. Overall, we spent a significant amount of time figuring out ARKit and UIKit's API and Swift's syntax. Fortunately, after hours of googling and debugging, we were able to solve our problems with some hacks. Designed and developed our first AR app, and solved problems along the way collaboratively Enhanced the traditional memorization methods using AR technology. Working with ARKit, including plane detection, model generation, shader outline, and 3D AR object interaction. 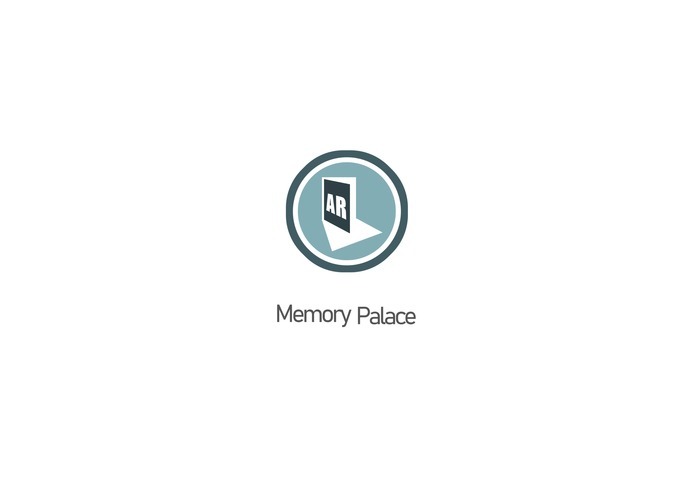 I was the 3D/2D artist for Memory Palace AR. Since I didn't have enough time to build the models from scratch, I used models from Google Poly and then designed and assemabled the scene with Maya. I was also in charge of logo/splash design for our application. I worked on Xcode iOS development environment, mobile app dev using Swift, and Swift debugging.